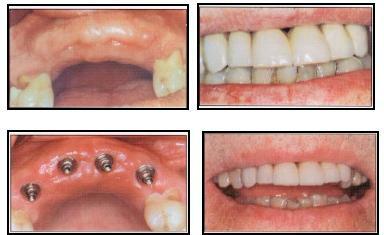 Dental implants are ideal solutions for problems caused by missing teeth. The dental implants that are placed by the dentist at Woodbury Dental and Laser Clinic replace both the form and the function of lost teeth – so that the patient does not have to deal with missing teeth issues; the implants will also ensure that the patient will enjoy a better quality of life, as well as enjoy a much-needed boost of confidence. Different individuals have different dental implant needs, which can be addressed accordingly with the proper dental implant treatment planning – and with proper coordination with the patient, to discuss his or her goals and expectations regarding the dental implants to be placed. Dental implant scenarios by the dentist at Woodbury Dental and Laser Clinic can provide information for patients who are interested in knowing what options they have when it comes to their specific dental implant needs. The dental implant scenarios also help both the patient and the dentist in preparing for the actual dental implants placement surgery, so that unwanted surprises or outcomes can be avoided. It is easy to assume that a single missing tooth will not pose problems in the magnitude of several or all missing teeth. However, even a single missing tooth can result to serious dental problems in the long run, especially if the problem is not given the proper attention it deserves in the soonest possible time. A single missing tooth can be addressed with a single dental implant; this is to ensure that bone deterioration in the area where the tooth is lost will be avoided (or prevented from worsening). The single implant tooth treatment by the dentist at Woodbury Dental and Laser Clinic will also ensure that the form and function of the lost tooth will be replaced, so that the other teeth will not be affected adversely in the long run. The importance of replacing a single missing tooth is magnified when the gap is located in the front part of the mouth. A single tooth missing in the front part of the mouth can make the whole appearance of the smile look incomplete. A single missing tooth can also affect the way the patient speaks, more so if it is located in the front part of the mouth. It will be extremely difficult to pronounce words (especially those with consonants) in clear manner even if there is only one tooth missing. Daily activities such as chewing or eating can become very challenging to tackle as well, even if there is only one tooth missing. A dental implant can address the problems that are caused by a single missing tooth. The dental implant treatment with a dental crown can be done by a Kent dentist to replace the form and function of the single tooth that has been lost, to ensure that the patient’s smile is completed once more. The single tooth dental implant will also allow the patient to enjoy chewing, eating, and speaking once again – without having to go to too much trouble with these normal, daily activities. Missing teeth problems involving several missing teeth can significantly affect the way a person looks like. Without the supporting structure of several teeth, the facial muscles will take on a sunken and sagging look – making the patient look much older than he or she actually is; this can have an adverse effect on the patient’s confidence level, and his overall well-being. Several missing teeth will also make it difficult for the patient to enjoy meals, as chewing or eating with several teeth missing can be very uncomfortable and difficult to do. The ability to speak clearly will also be greatly affected when several teeth are lost. A dental bridge by the dentist at Woodbury Dental and Laser Clinic can be attached to the dental implants to address the problem of several missing teeth. The dental bridge, along with the dental implants, will effectively replace the form and function of the teeth that have been lost. The loss of all teeth has a great impact on a person’s dental health, as well as with his or her appearance. When all teeth are missing, the muscles in the mouth or lips, and cheeks areas will take on a sunken or hollow appearance – and will make the patient look a lot older. It is also very difficult for a person who has all teeth missing to chew or ear properly – since there are no teeth left to do the chewing process. Dentures that are supported by dental implants provide ideal solutions for those who have all of their teeth missing. Implant-supported dentures by the dentist at Woodbury Dental and Laser Clinic are much more effective as missing teeth solutions compared to dentures alone, since the implants securely anchor the prosthetic teeth directly to the jaw bone.